Halloween in Branson is a great time for kids and kids at heart as this is the season where they can experience a fun-packed Halloween activities with family and friends and the chance to see changing colors of the autumn leaves along the hills of the Ozark Mountains. During the season, Branson offers many varieties of events and activities to enjoy, no matter your age. Celebrating Halloween in Branson brings a holiday of frightening adventures and fun family memories. There’s no doubt about it, this is the time that you smell the familiar fragrance of apple spice and freshly carved pumpkins, feel the delicious taste of warm cup of apple cider, and experience the exciting activities of the season. This Halloween season, Branson will hold its 10th Annual Safe Street Trick or Treat for Branson Landing merchants to take place on Monday, October 31st. This Halloween activity is exclusively for children up to age 12. See the Branson Landing Queen in Town Square with bunches of goodies. Don’t miss to visit the businesses with the Halloween Pumpkin Signs in their windows – as those are signs indicating they participate in “Trick or Treat” businesses, located at the Branson Landing Promenade. Get ready also for the Monster Mash Street Dance beginning at 6:30 pm. It’s going to be a boo-tacular time for all participants. 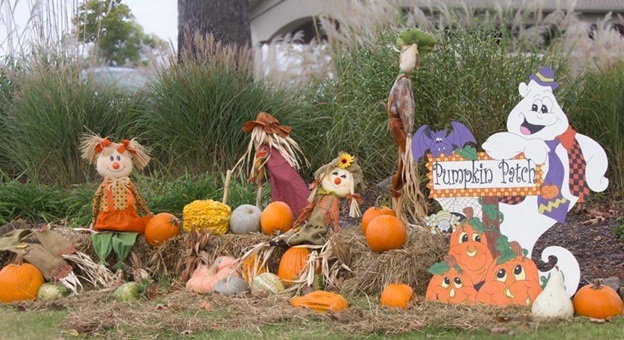 Located just minutes from downtown Branson, McKenna Family Farm and Pumpkin Patch is a great place for the whole family to experience fun family memories during the Halloween in Branson. The farm operates throughout much of the year, but during this season they have activities in a two-acre corn maze, pumpkin bounce house, hay rides, slides, baby farm animals, and a huge bounce pillow. Halloween Boonanza is another exciting activity to enjoy at The Branson RecPlex to be held on Saturday, October 24, from 5:00 to 8:00 pm. The event features a trick-or-treat maze, hay ride, cup cake walk, costume contest, and so much more. For some visitors who want to experience a frightening adventure in Branson, don’t miss to visit Branson’s Haunted Screampark. Located in Branson West, the park comprises of four haunted attractions in one location which include the Insanitarium, Slashers, Haunted Adventure & Mirror Maze, and Terror Tales. The park is open daily, rain or shine, so bring your friends and get ready to feel the frightening experience of your life. Branson Ghost and Legends Tour is another frightening adventure that you can experience through the historic downtown Branson. Get spooky as you join the 90-minute frightening tour in this Missouri town like you never done before. In this tour, you may hear about the ghost that haunts the Owens Theatre, the shootout at the Train Depot, and what started the great fire in Branson in the early 20th Century and much more. Halloween season is a great time to enjoy fun-packed activities with family and friends and a chance to see changing colors of the autumn leaves, smell the familiar fragrance of apple spice, and see freshly carved pumpkins.